The Volkswagen Jetta offers precise handling, good fuel economy and a roomy interior for the compact class. Volkswagen has dropped two previous powertrains and modified the lineup of its compact sedan for the 2017 model year. Diesel power is gone, due to the company's scandalous use of an illicit device that allowed Jettas to pass U.S. emissions testing. In addition, the Hybrid Jetta has departed because of sluggish sales. That still leaves three engines available for 2017 Jettas. The 2017 Jetta S was upgraded to include a rearview camera, two-tone cloth upholstery, and 16-inch wheels. The 2017 Jetta GLI comes in one trim level. Jetta SEL Premium, the top trim, is available only on special order. Last redesigned for the 2011 model year, the sixth-generation Jetta is dated. It has been Volkswagen's top-selling car, despite its conservative, old-fashioned appearance. All Jettas are four-door sedans. The hatchback version is the Golf. Jetta S and Jetta SE trim levels use a 1.4-liter turbocharged four-cylinder that makes 150 horsepower and 184 pound-feet of torque. A 5-speed manual transmission is standard, with 6-speed automatic optional. 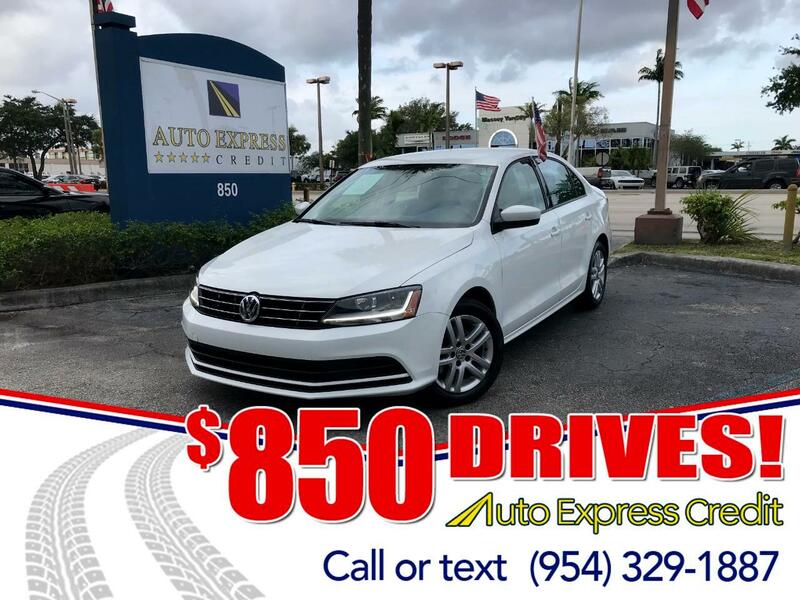 In the Jetta SEL, a 1.8-liter turbo four-cylinder produces 170 horsepower and 184 pound-feet, and all come with the 6-speed automatic. The performance-focused Jetta GLI uses a 2.0-liter turbo four-cylinder, generating 210 horsepower and 207 pound-feet. Either a 6-speed manual or Volkswagen's dual-clutch automatic transmission may be installed in the GLI. In addition to 0.6-inch lower ride height and sport-tuned suspension, the GLI features a honeycomb grille, bolder front fascias, 18-inch wheels, red brake calipers, and flat-bottom steering wheel. Known for precise handling and tempting fuel economy, Jettas compete against such popular compacts as the Honda Civic, Toyota Corolla, Ford Focus, Chevrolet Cruze, and Mazda 3. Jetta's boxy sedan configuration mixes with a traditional cabin layout, making this compact more roomy than some midsize four-doors. Message: Thought you might be interested in this 2018 Volkswagen Jetta.